it is not possible to list all pricing details. Please contact me for a quote for your custom cake.. Most specialty cakes begin in the area of $3.85 per slice for chocolate, vanilla or vanilla almond cake and very basic decor (butter cream finish with a few details). Themed/specialty cakes typically begin around $4.25 per serving. Fondant covered cakes will begin at $4.75 per serving. With all cakes, the complexity of design and details will adjust the pricing accordingly. There is a $85 minimum for single tier and a $130 minimum for 2 + tiered custom cake orders. Orders are confirmed, dates secured only with the receipt of a non-refundable 50% retainer. Other cake flavors, fillings, fondant covering and hand crafted/custom decor will increase pricing accordingly. 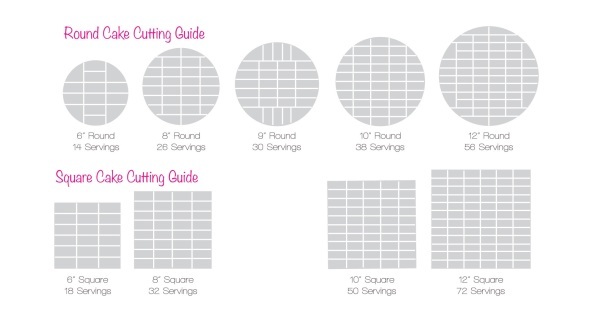 The number of servings represents a 1"x2"x4.5" slice of cake. A minimum of 12 cupcakes per flavor is required for an order. Listed prices do not include fillings or hand crafted decor/toppers.